So, we're gearing up for Fall here at PDR. And, while we certainly have some more Summer fun in store for you, we can't help but be enticed by Fall color schemes. Typically blush/rose pink is considered a spring color, but when placed next to mauve it has a very warm and cozy feel to it, perfect for those cool Fall nights. 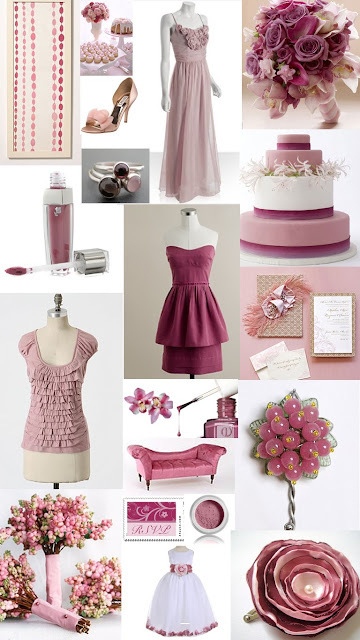 Blush and mauve is one of the hot color combos for this year (according to www.theknot.com) so, here is an inspiration board to encourage you to try it out and give your own little twist to this trendy color combo this season.